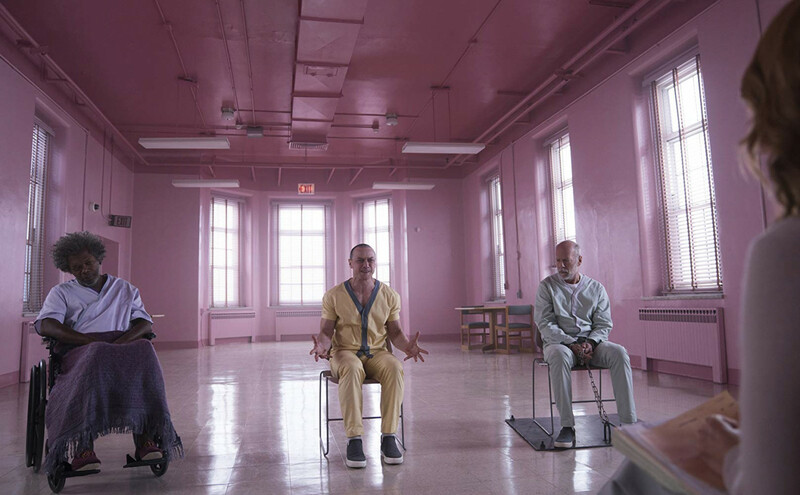 "Glass," a superhero thriller both financed and directed by M. Night Shyamalan, dominated North American box offices this weekend, taking in $40.6 million, industry watcher Exhibitor Relations said Sunday. The Universal film, a sequel to Shyamalan's "Unbreakable" ( 2000 ) and "Split" ( 2016 ), stars Bruce Willis as the superhuman known as "The Overseer" locked in a psychiatric ward with nemesis and mass murderer Samuel L. Jackson, AKA "Mr. Glass." Its estimated three-day take -- at the start of the four-day Martin Luther King Jr. holiday in the US -- saw it vault past the previous weekend's leader, "The Upside" from STX Films, which took in $15.7 million for second spot. "The Upside" features Bryan Cranston as a wealthy quadriplegic who hires ex-convict Kevin Hart as his caretaker. Critics have called the script, a remake of a 2011 French film, "corny" but praised the two lead actors. In third was Warner Bros.'s superhero film "Aquaman," down one spot from last weekend, with a take of $10.3 million. The film, starring Jason Momoa as the Atlantean king, has generated more than $1 billion in box office revenues worldwide. Fourth spot went to a surprise entry -- anime film "Dragon Ball Super: Broly" from Funimation Films, with $9 million. The fantasy martial arts movie is the 20th "Dragon Ball" film and appears to be having one of the best showings of any in the series. And in fifth was "Spider-Man: Into the Spider-Verse," still performing well in its sixth week out at $7.3 million. The Sony movie won the Best Animated Movie award at the recent Golden Globe ceremony.